Need a Texas way to display proudly your Christmas Spirit? 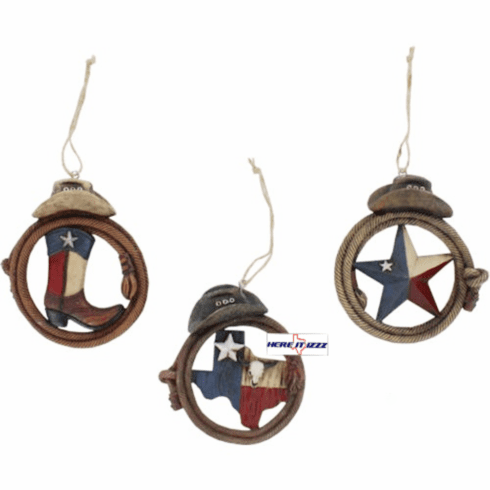 This is a great three piece set of Lone Star State decorations Each ornament is a hand painted and beautiful. The Lone Star State Texas boot ornament set will make for a great Texas Christmas theme.